The big hunt is on! 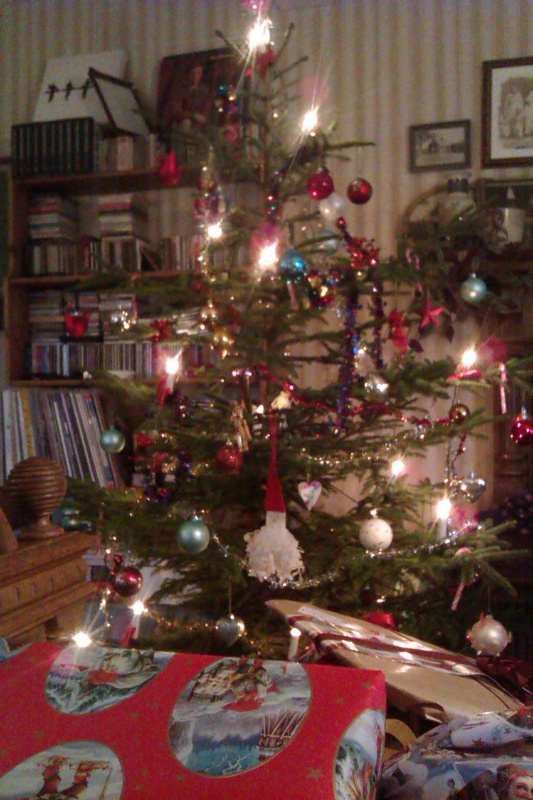 Finally it’s Christmas! 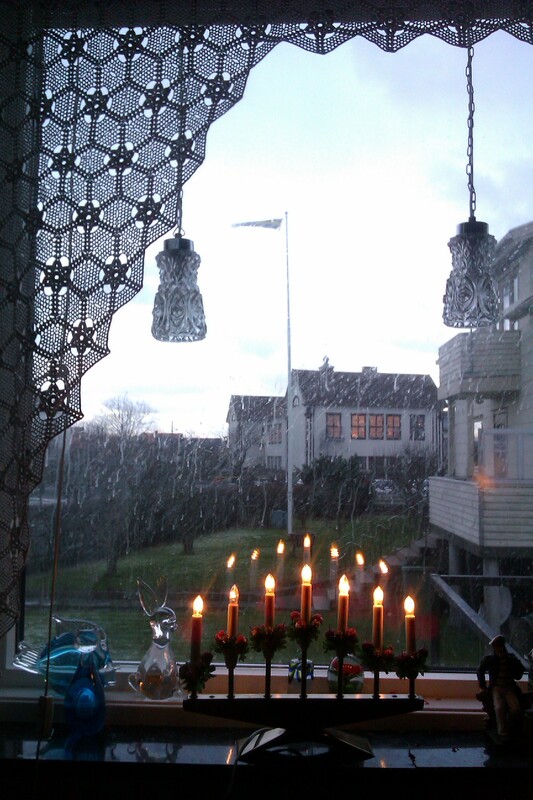 In Sweden we celebrate on Xmas eve. The day started with the children opening one present each, lots of cooking, eating and then opening the rest of the prezzies. The rest of Sweden usually sit down in front of the telly at 3pm watching old cartoons but we have ditched that tradition. I cooked meatballs, prinskorv(short little sausages), red cabbage, salmon, herring and potato gratin. Traditionally you have Jansson’s temptation but since I don’t like anchovies everyone will have to make do with gratin. Another traditional meal is Lut fisk, fish soaked in water, then in Lye(which makes it caustic) and then soaked in baths of water, then cooked and eaten with bechamel sauce. My grandmother used to cook it along with Xmas sausage. I remember as a child helping in the kitchen making sausages from scratch, stuffing and twisting them. The evening will be spent on the sofa with Glögg, chocolates and some nice old English ghost stories or maybe a boardgame or two. The best thing is, since half the family is English, we will do it all again tomorrow! 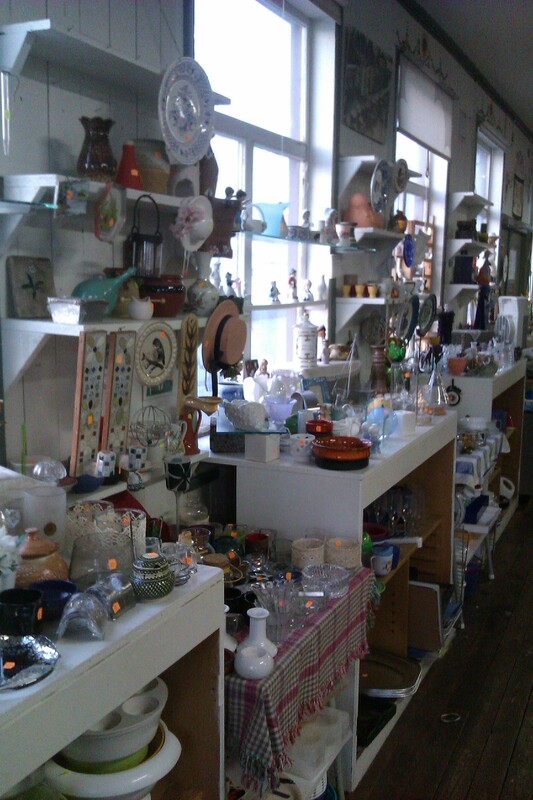 I have now done my first days at the second hand shop down the harbour. Thought about joining for a long time but wasn’t sure I would have the time with all my thousand projects, now I’m so happy I volunteered, so much fun! 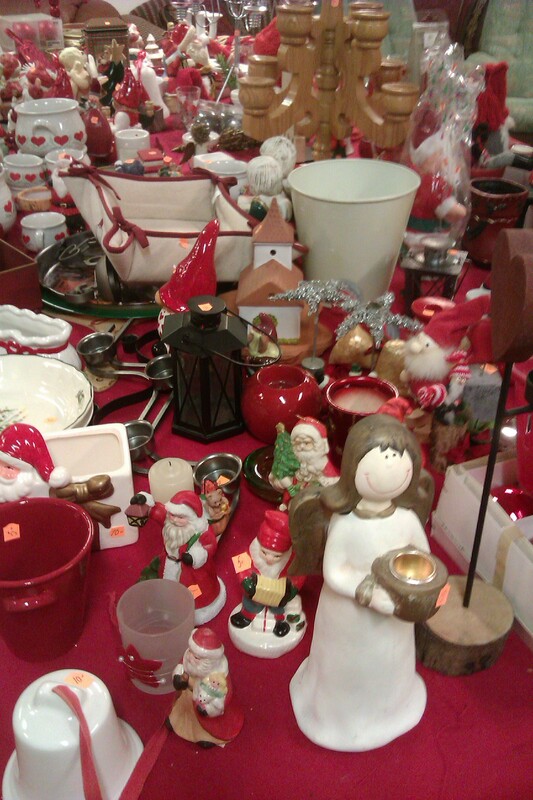 It is amazing how much work they do, the volunteers, and how generous people are donating things. The general age of the staff is probably around 60-70 years old but they run around like teenagers, sorting, serving coffee, carrying furniture, never still for one minute. No one gets paid for it and all the money goes to charity. The only drawback is that I will probably spend a whole lot more money than I should, buying everything I unpack. At least it is for a good cause! 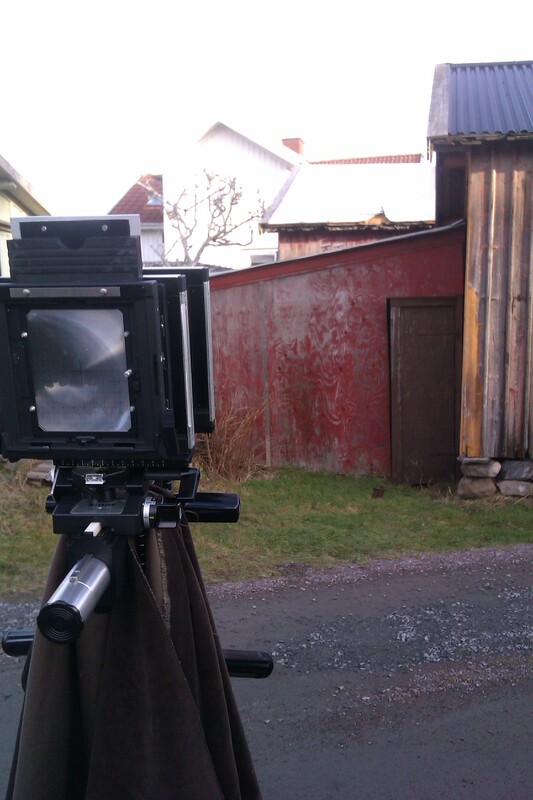 Finally I got some time to do more wet plates and try out my new glass plate holder. With the chicks running around my legs and interesting conversations with the neighbour I completely lost track of exposure but still had a few “keepers”. My neighbour told me about the photographers in the old days who walked around, using the same technique then as I do now, offering portraits on metal for 75 Swedish öre(0.75 SKR). It made me think of a picture I got from my aunt a while back. 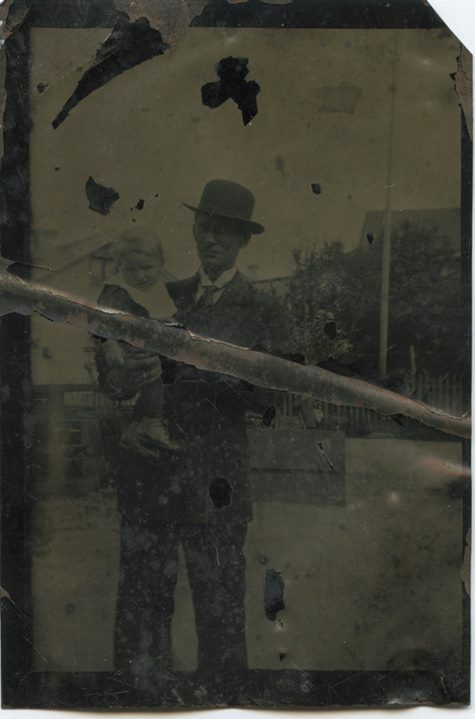 It’s a tintype of my mammas farfar (my mums granddad) Hildor and my morfar(granddad) Eskil. 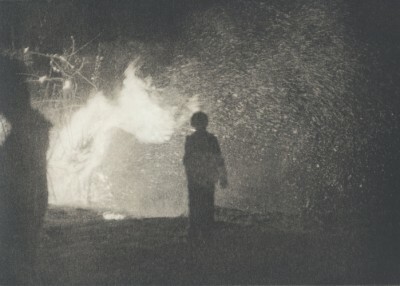 The photo was taken year 1920. 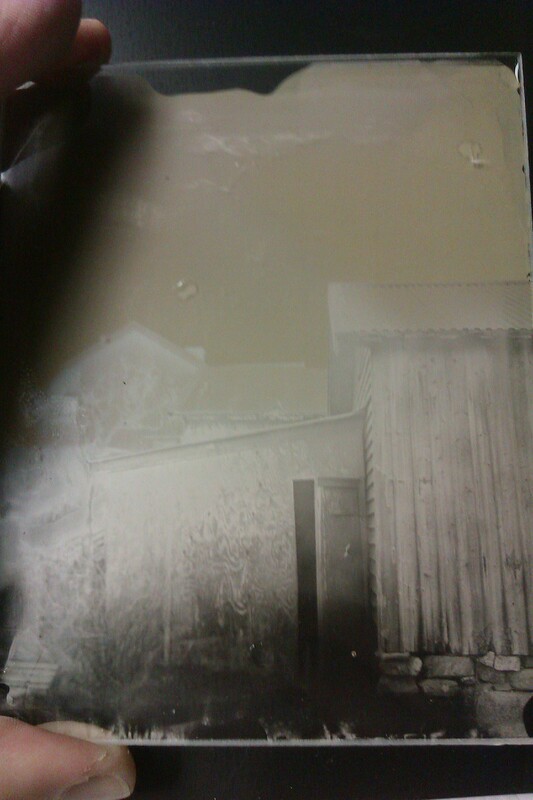 Note: Maybe I should add…this is an analog technique where the picture needs to be taken while the plate is wet, there of Wet plate. 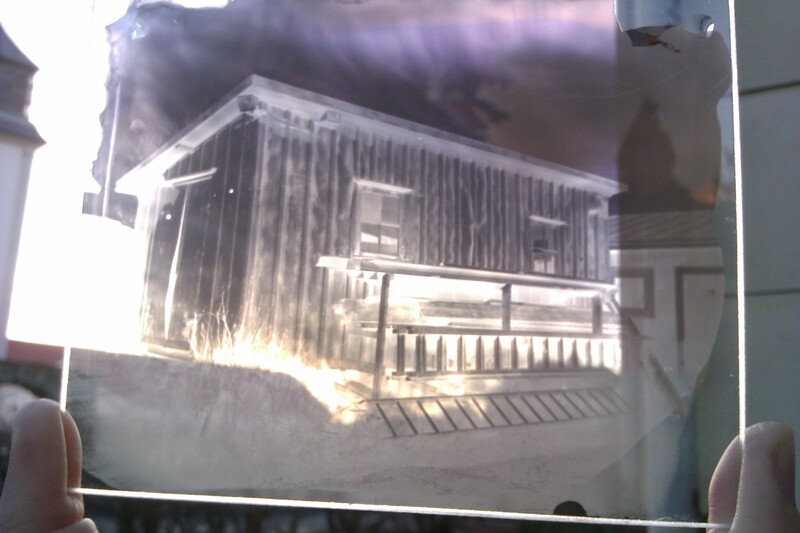 If it’s made on metal it’s called Tin-type, on glass Ambrotype. Hens and cockerels of course! 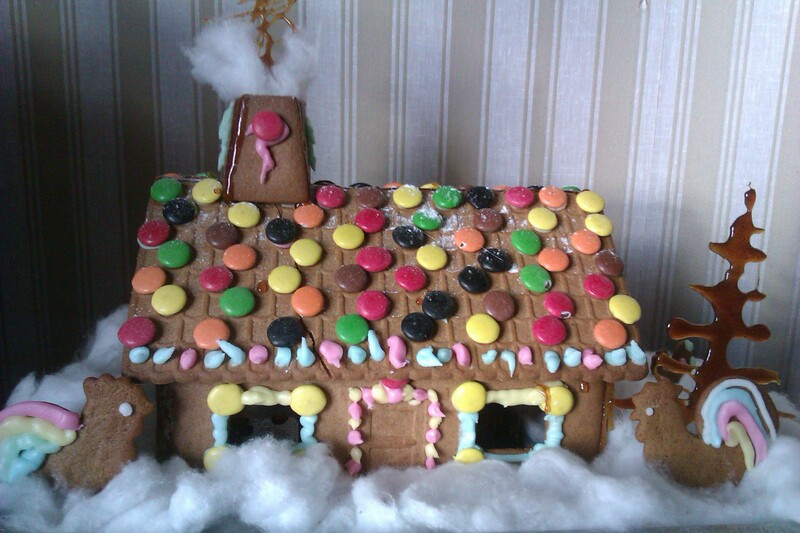 Last night we tried out the new gingercookie shapes, put together a house and decorated. Not bad for one evenings work. Don’t know why they call it ginger cookies in English because the direct translation in Swedish is Pepparkakor(pepper cookies)? The children tried non-alcoholic Glögg, the response was a lot of spitting and going yack, blä, usch etc. I on the other hand love Glögg(mulled wine), with or without alcohol, preferably warm with raisins and almonds. 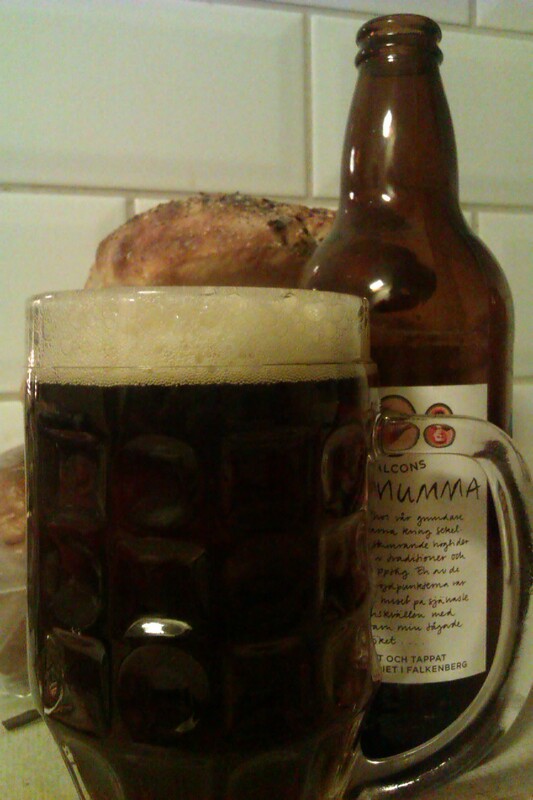 Another tradition wich isn’t as widespread in Sweden but still there, is Mumma. My English husband asked me the other day if I had ever heard of it? He had read an article in the Guardian where the journalist wrote about Mumma but wasn’t convinced that there was acutally such a thing. We picked up a couple of bottles of Jul-Mumma from Systembolaget(in Sweden you can only buy alcohol in goverment owned shops Monday-Saturday, if you are over 20 years old). It was my time to go Yuck! He was happy to have mine as well though. The hens are happy again with their yard back, took a morning of hammering, and I added some new sticks to climb and sit on. They ran around the garden for a while but when it started hailing they all flew up to me chuckling away to be let into the henhouse. 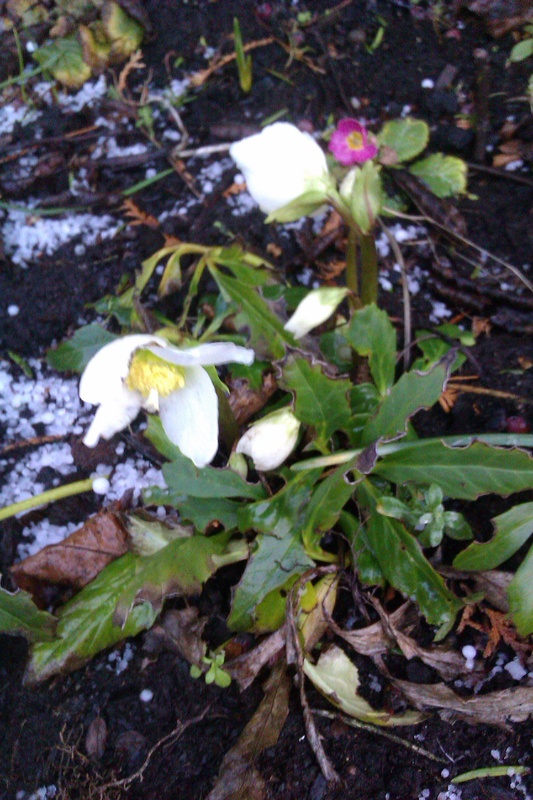 Apart from hail I don’t think they will have any problems with Swedish winter. Cheers, tanks a lot Sven(ironic)! I went out for a meeting last night, it didn’t seem that bad. Coming out of the meeting there was a full-blown storm and rain mixed with snow. Putting my daughter to bed the whole second floor was shaking, her bed was shaking. 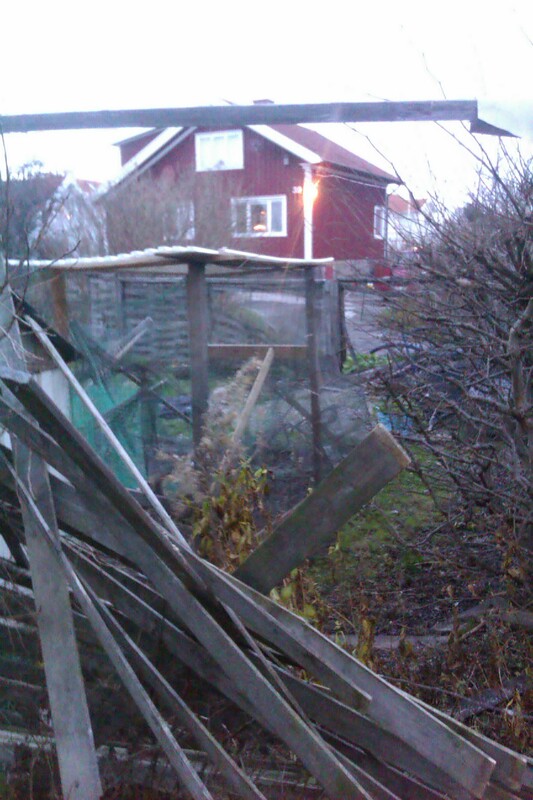 In the morning it looked like someone had chucked a bucket of mud on the windows, salt mixed with dirt. 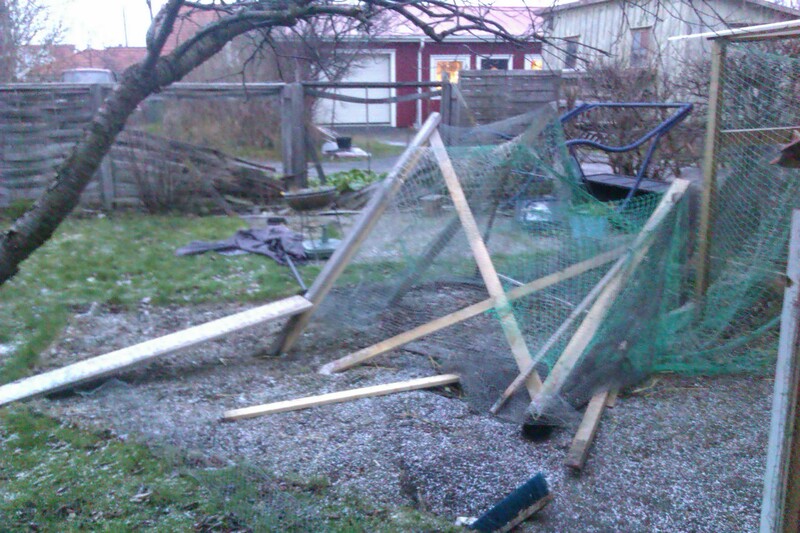 Sven also turned my fence into chopsticks and the hen yard. 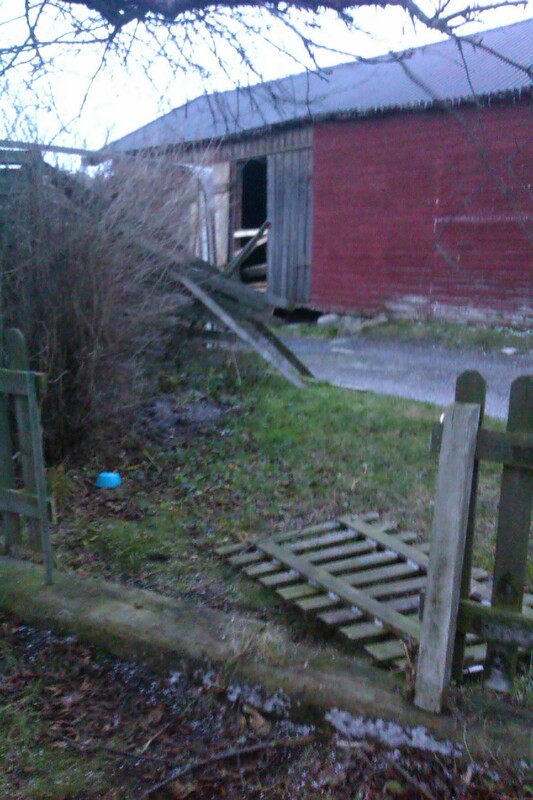 Luckily the henhouse stood and the chickens were fine but very unhappy to be locked in the house. 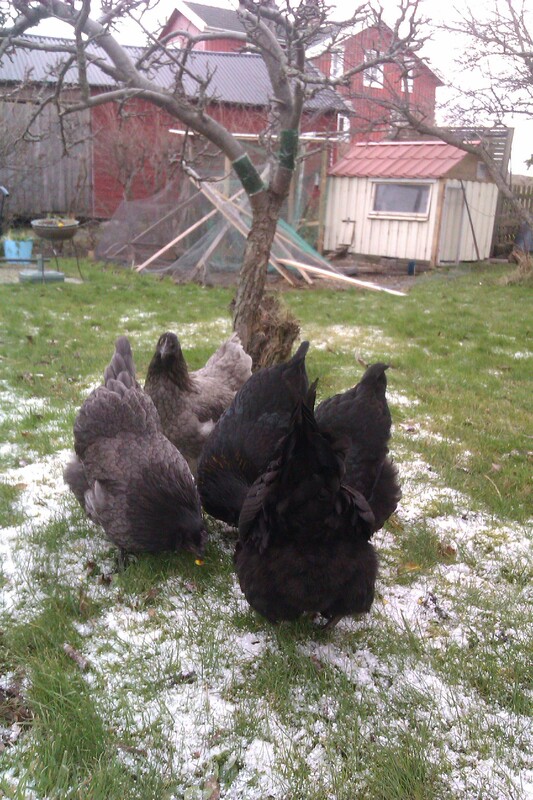 I let them out for an hour, they didn’t mind the snow or wind and I had an exhausting hen chase trying to get them back in the hen house.